“A homemade rocket with a poisonous substance that has not been identified yet – one similar to the rocket used by terrorists on March 19 in Khan al-Assal - was fired early on August 21 [at Damascus suburbs] from a position occupied by the insurgents,” Lukashevich said. 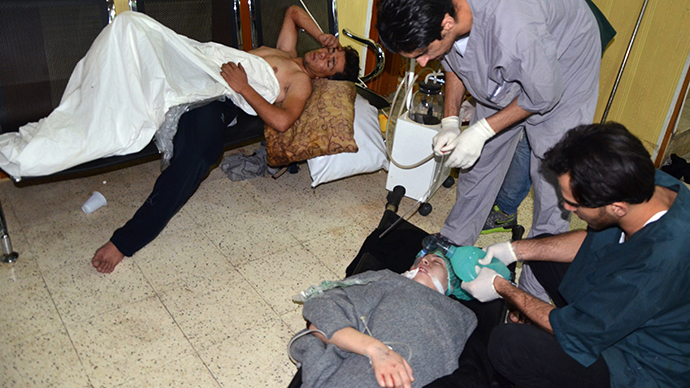 Earlier on Wednesday, conflicting reports emerged of recent chemical weapons use in Syria. 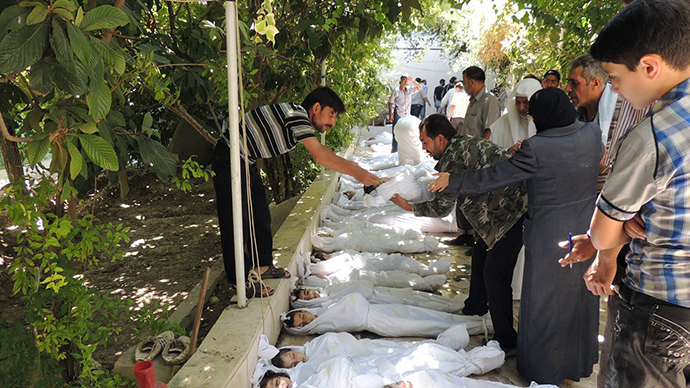 This comes on the same day that the UN inspectors arrive in Damascus to investigate allegations of use of toxic arms. The casualty figures range from dozens to almost 1,300 deaths. 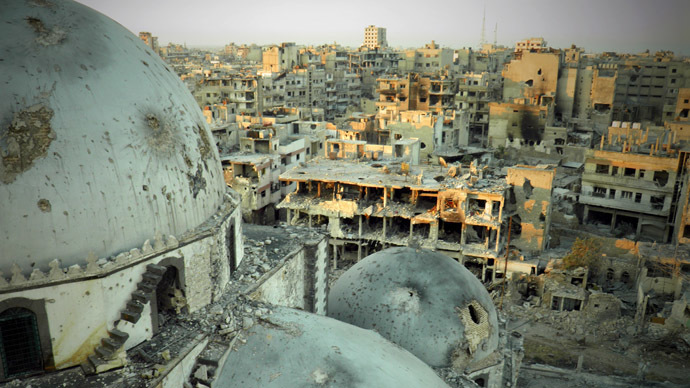 The Russian diplomat stated that it seems as though it was “a provocation planned in advance.” The “criminal action” near Damascus coincided with the beginning of UN experts’ work in Syria - which speaks in favor of such a conclusion. Meanwhile, Washington said it has no independent verification about the use of chemical weapons in Syria. The US is planning to consult the UN Security Council about the allegations, Principal Deputy Press Secretary Josh Earnest told reporters, as cited by Reuters. The chief UN chemical weapons investigator Ake Sellstrom discussed the alleged chemical attack with the Syrian government. The organization’s Secretary General Ban Ki-moon was shocked by the report of the alleged attack, his press office said. 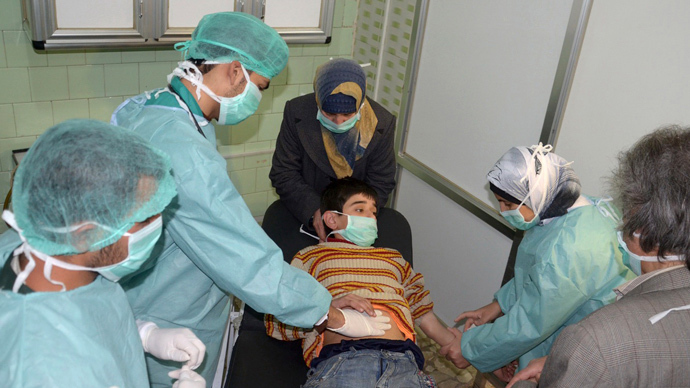 UN Security Сouncil gathered for an emergency meeting on alleged Syria gas attack at 1900 GMT on Wednesday. The UK, one of the five permanent members of the body, will demand that the UN team of investigators gets “unrestricted access” to the area of the alleged attack, Foreign Secretary William Hague told reporters. The Syrian government has no information regarding opposition forces using chemical weapons in the Damascus area, the country’s information minister told RT Arabic. Omran Al-Zoubi mentioned that the pro-Assad army has suffered no losses because of such weapons. He did not rule out, however, that the poisonous substances could have been used against civilians – as was the case in the Khan al-Assal incident outside Aleppo, in which over 30 people died. 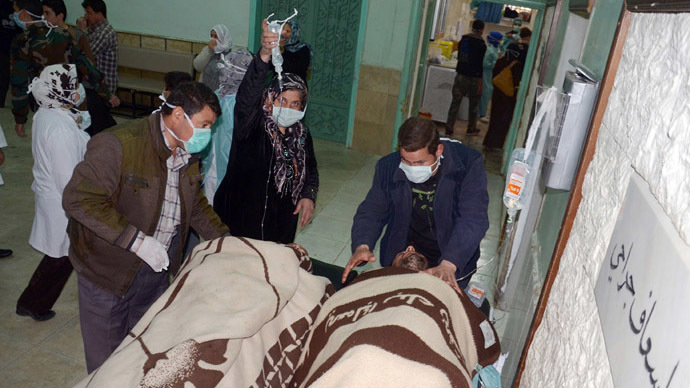 In Al-Zoubi’s opinion, the goal of Wednesday’s “collateral” reports about the alleged chemical attack by government forces was to undermine the work of UN investigators who arrived in Syria after receiving a request from Damascus. If the UN commission successfully completes its work, investigators will discover that chemical weapons were used in Khan al-Assal and that the Syrian army did not use such arms, the minister stated.